VetPay’s unique online processing system takes away the angst of form-filling. Simply ask your participating vet to to enter your application. It will be instantly processed and most applications are approved on the spot. 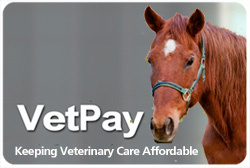 We will automatically debit your account or credit card and pay your vet for services provided to you. Its fast. It’s easy and it is secure. Get the best care for your pet today. Ask your vet about VetPay. Get Pre-Approval For VetPay – Apply Today! We have a network of participating vets throughout Australia. By completing this pre-approval application you will find out whether you are elgible to use VetPay finance when you need it. Applying for pre-approval is valid for 3 months, is free of charge and you are not obliged to use VetPay credit. Once you have been pre-approved you will be able to use VetPay finance at any of our participating vets.